Winter is not a season, it's an occupation. | Life. Realized. 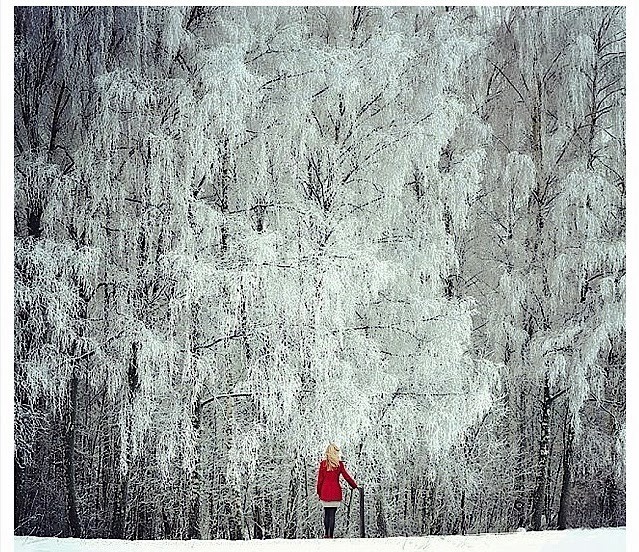 I always imagine winter will look like this. Beautiful trees, hot drinks, and cozy clothes. There is some of that, sure, but I often find myself dreading the realities of cold weather. Snowblowing the driveway at 6:30a just to get my car out. Perpetually cold tootsies. Feeling a bit claustrophobic in my layers as I go throughout my day. I think I've come to dread winters because of circumstance rather than winter itself, and I'm trying to separate the two. New England winters are beautiful! I'm quite certain I will miss them years from now. Unfortunately, Kiddo's snow days rarely coincided with my off days, which meant scrambling to find childcare or taking him with me to class. Trying to get out the door on time, dealing with unplowed roads during our morning commute... the list goes on. Mario has a crazy busy travel schedule the first three months of the year, so these responsibilities fall squarely on my shoulders. (It's also lonely without him!) I let it affect the spirit of the season. I simply couldn't focus on the lovely things around me most days. I was a weekend winterer (at best). This year will be different, I hope. No more classes to report to come mid-January. A job, hopefully, but a less all-consuming existence, I think. I'll have to work to change this rather ingrained tendency to feel overwhelmed by the piles of cold white stuff surrounding us. 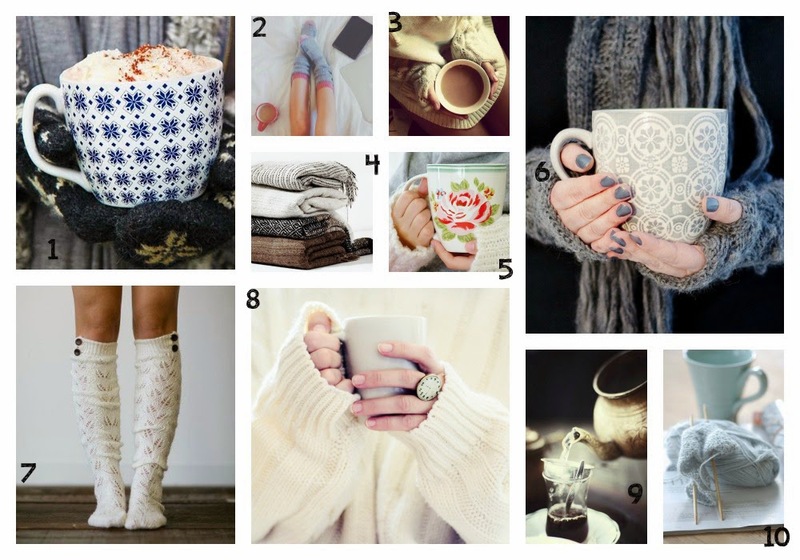 In addition to actively shopping for a warm, comfortable new winter coat, I'm taking moments to soothe my anxiety by scoping out cozy sweaters and socks, drinking lots of hot beverages, and using Pinterest to vicariously experience the lovely, idealistic side of the coldest season. I'm excited for our excursion to NYC! I imagine my beanie-wearing self all bundled up in my new coat, clutching a latte, taking in the certain kind of beauty that can only be experienced in the city this time of year. Low key weekends spent watching movies with the boys! So instead of fretting, I'm allowing these happy moments to be the focus. Here's to enjoying the season, now. We still haven't had any winter weather....I'm waiting haha.